The Tranquility is the most vibrant design in the Endless Love Collection. 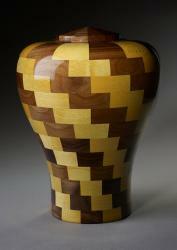 The Tranquility cremation urn features rich, contrasting colors created by combining Padauk and Black Walnut wood pieces. 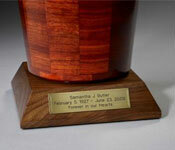 This urn will be a beautiful display piece in your home that will help the memory of your loved one live on. 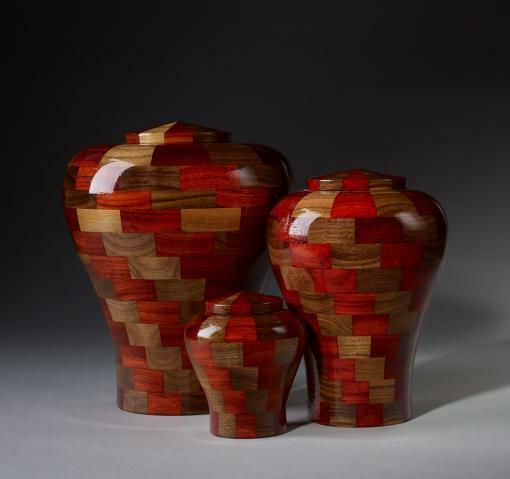 Like the other urns in the Endless Love collection, the Tranquility can be customized in keepsake, small, and large sizes. Urn memorial jewelry sold separately on Etsy Charmed Wife Shop.